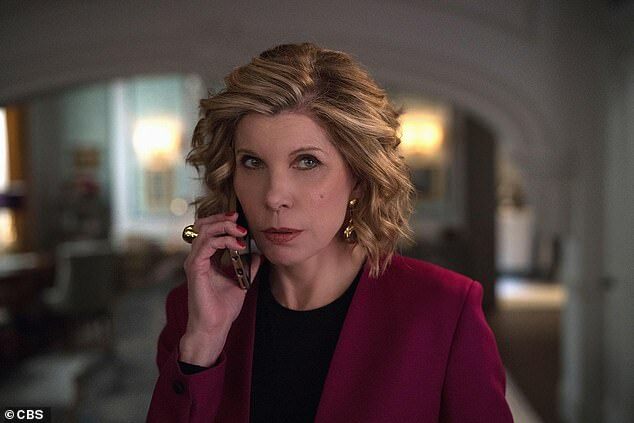 Viewers have slammed CBS show The Good Fight after it's official Twitter account posted a picture with the words 'assassinate', 'President' and 'Trump' in succession. 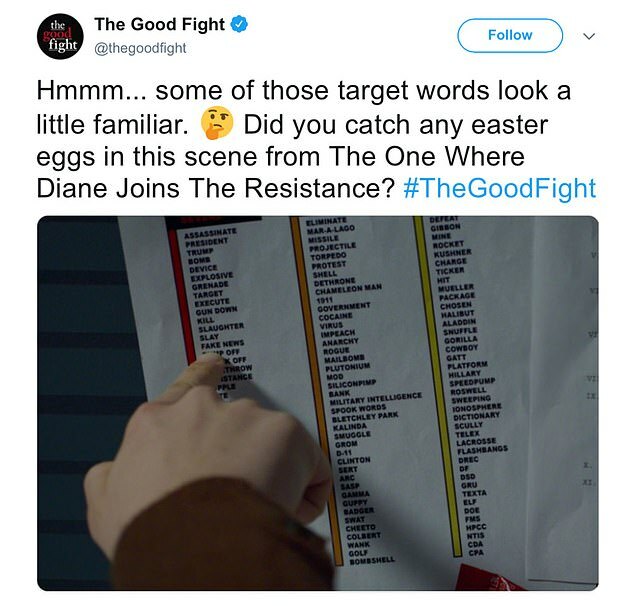 The network came under fire for the tweet, which showed a screenshot from a March 28 episode showing someone pointing to the list of 'target words'. The Good Wife spinoff quickly deleted the picture posted Friday after GOP chairwoman Ronna McDaniel called it a felony. 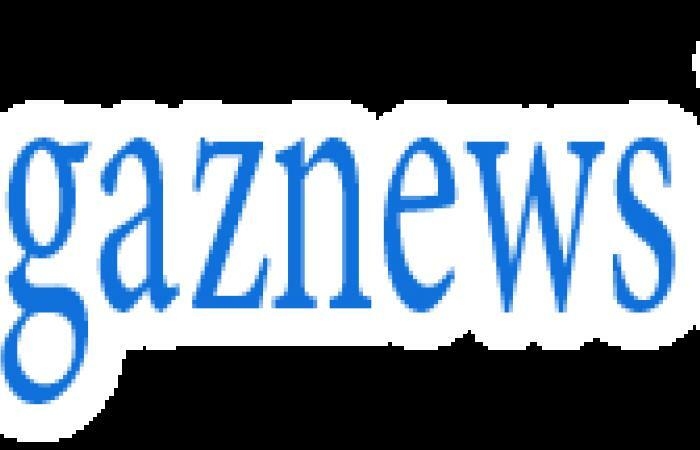 Other users quickly piled in, saying the post 'advocated the assassination of Donald Trump' and 'invoked an assassination on our President through the use of subliminal propaganda'.